Maneybhanjang, at altitude of 1,523 metres, is at the Nepal-India border in Darjeeling. Known as the “place where all roads meet”, it is a small village having the privilege of 42 old Land Rovers’ existence. The place is famous for Land Rovers and the people living there are certainly proud of them. As one lady put it out “we belong to the place where we have Land Rovers”. So what are they used for? As you might have guessed, the 1957 Land Rover Defenders are used to tame the unpaved terrain and their journey was filmed beautifully on a video spanning three minutes and 26 seconds. 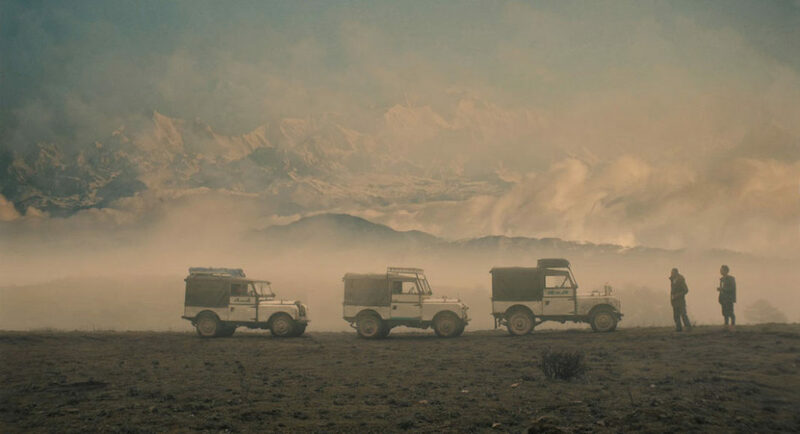 A small region called the ‘Land Of Land Rovers’ exists in the mighty Himalayas. It is one of the most exclusive places one would find on earth and sits at an altitude of 3,636 metres above mean sea level. The little known village of Sandakpu is accessible to humans only through a track carved through mountains. Land Rover recently visited this awe-inspiring place and the video was part of its seventh century anniversary celebration to showcase the significance of the Land Rover community across the globe as they go places only very few can really get access to. Locals had to travel 31 km from Maneybhanjang to reach Sandakphu and their journey was made less difficult, courtesy of the surprisingly well-preserved old Land Rovers. The simplicity of the old off-roaders is also appreciated by the people who drive them there. Fast-forwarding decades, Land Rover is now developing a new generation Defender that will be launched in 2019. It is expected to having an evolutionary approach to design language and will have a lot in common with the original model to maintain its authenticity.